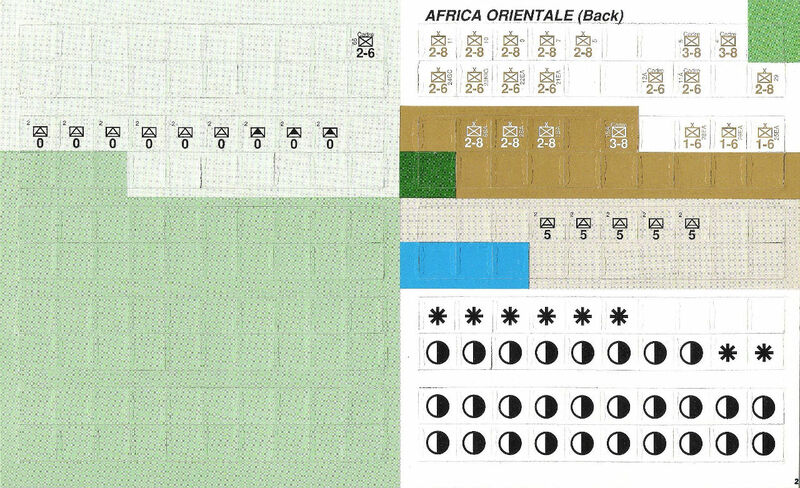 Africa Orientale is the only Europa-module ever published in Strategy & Tactics. 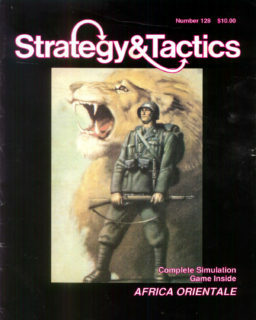 Jeff Brown, the games designer, arranged for the game to be printed in S&T, which came with a new strategy game in every issue. 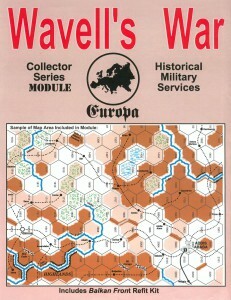 The game centers around the bitter struggle over the vast Italian East-African Empire in 1940 and 1941 that cost thousands of lives. 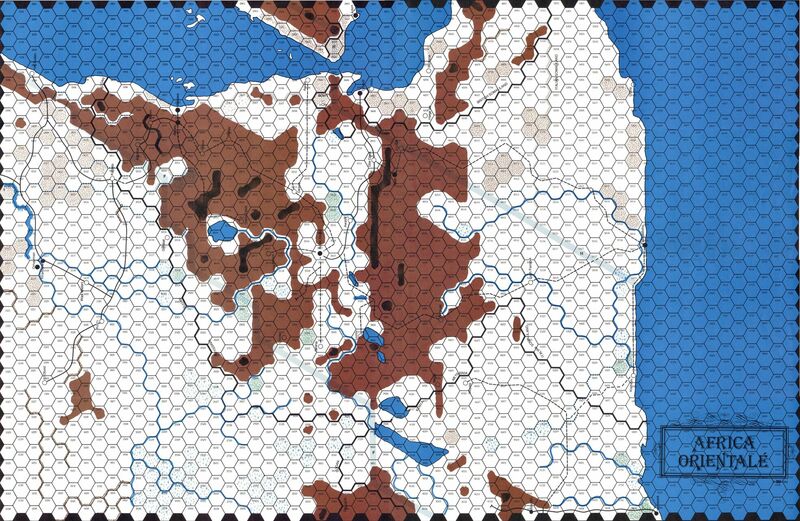 The campaign includes marches and battles over huge distances and a high variety of landscapes. 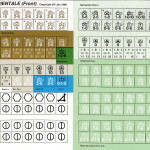 The Italians have an impressive array of forces at their disposal - at least on paper. Cut off, however, from Italy and any support, supply or even spare parts, it was always a question of when and not if the Italian defeat would finally materialize. The British treated East Africa as a sideshow and dispatched a motley assortment of various Colonial, Indian, British and Commonwealth regiments and brigades to first contain the Italians and then gradually push them back into the heart of their Ethopian empire. 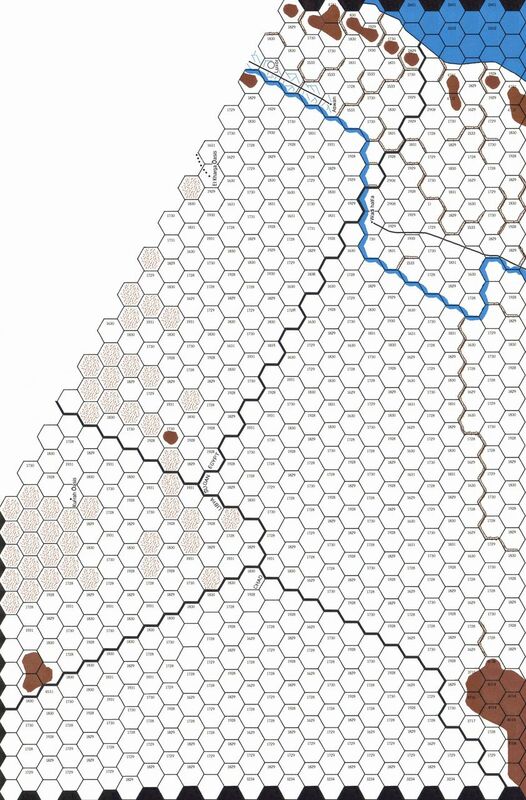 Even the Belgians sent some troops from the Congo, an adventure that is chronicled in "The Belgian Campaign in Ethopia", available online here. 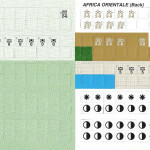 Africa Orientale featured special maps to account for the vast distances covered. 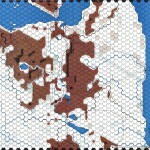 The maps were the first deviation from the Europa standard of 16-miles-per-hex and halved the resolution, covering everything from South Sudan to the North of Kenya at 32 Miles a hex. 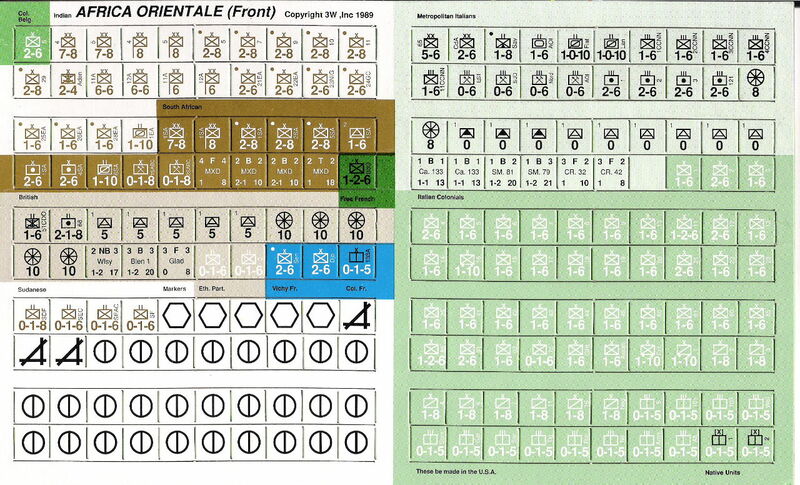 Equally new were some innovative rules to simulte the questionalble combat value of the numerous irregulars the Italians fielded. “On the Horns of a Dilemma in the Horn of Africa.” By Brian Adams. TEM 36.